Each “Foto Friday” 2dopesistahs pay homage to our love of Pinterest by remixing one of the posts we saw there, the “30 Day Photography Challenge,” originally posted on the Little Bennet blog. We are presenting our photographs so that we can explore the power of the camera and how we see the world. I have wondered about this strange fruit since I moved to Iowa. In the fall, these grapefruit or softball sized, greenish-yellow, rough-textured fruits were all over the ground, but I had no idea what they were. Finally, out of curiosity, I took these pictures and did a little research. 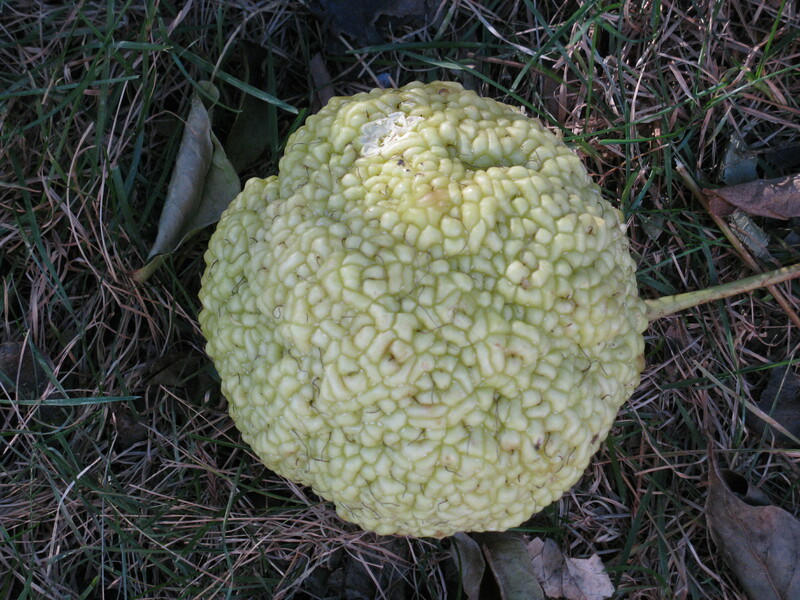 This is the fruit of the Osage orange tree. Am I the only one who thinks it’s funny looking? 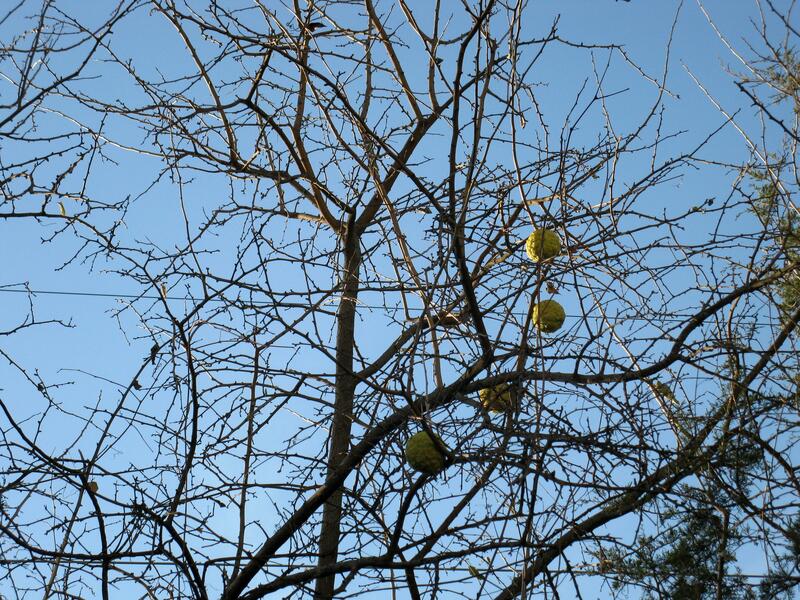 Almost all of the fruit had fallen from this tree by mid-November. The fruit is non-poisonous and edible, although apparently not consumed because of its unpleasant taste. However, the fruit is used as a decoration and touted by some as an effective, natural insect repellant. 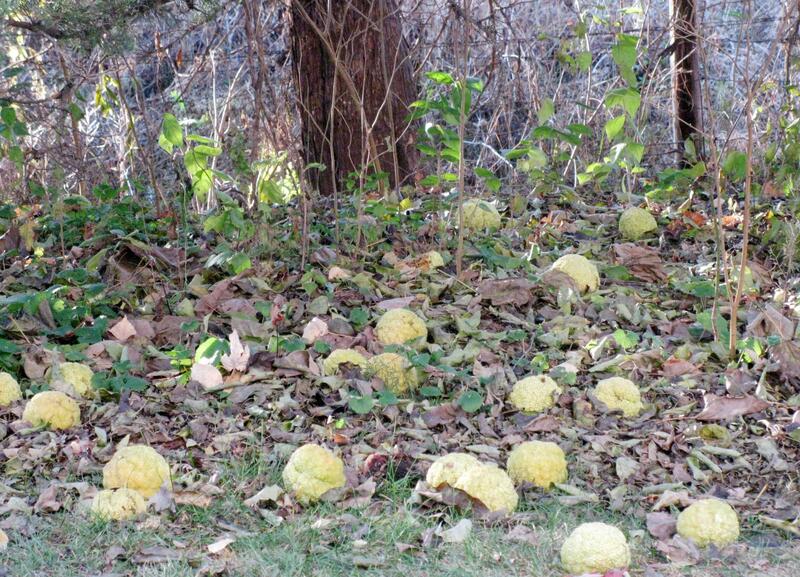 Depending on the region, the Osage orange is called by different names, including hedge apple, horse apple, and bois d’arc. This entry was posted in Foto Fridays! and tagged 2 Dope Sistahs, 30 Day Photography Challenge, Foto Friday, Maclura pomifera, Osage orange, Pinterest, Trees by Da Realist 1. Bookmark the permalink.